Strawberry Tres Leches Trifle is an incredibly moist and flavorful layered cake dessert trifle made with fresh strawberries, lightened-up Tres Leches cake and whipped topping. A summertime dessert that everyone will love! 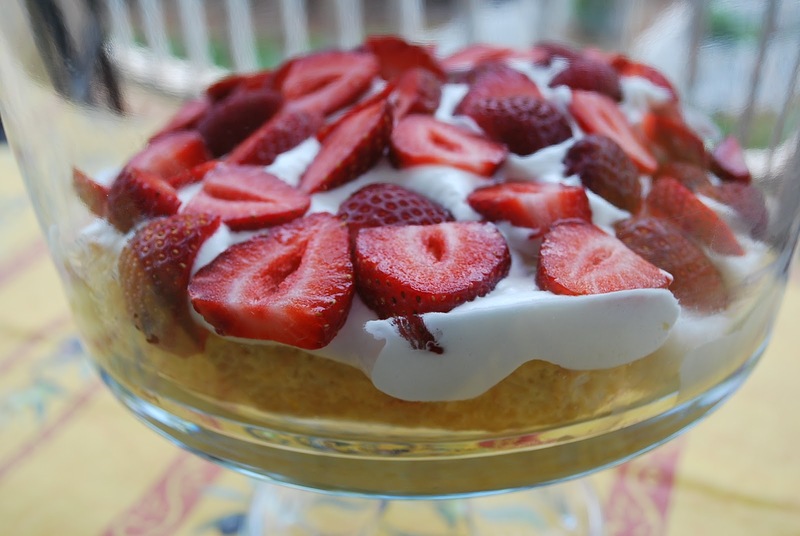 This Strawberry Tres Leches Trifle a delicious twist on one of my absolute favorite cake recipes. The first Tres Leches Cake that I ever made was an Alton Brown recipe (which is to freaking die for!!!!!!!!!!) but I had to come up with a lighter version (without all the heavy cream) to satisfy my taste buds. This Strawberry Tres Leche Trifle not only looks pretty, but it has all the sweet, milk-soaked goodness of the original recipe. It’s much more moist and delicious than strawberry shortcake and uses all those amazing local berries that I just stocked up on this week. It’s so scrumptious!!! You’ve got to try this recipe for your next summer party! Preheat oven to 350 degrees. Spray a 9×13 baking pan with cooking spray (I love the Pam for baking for this). Combine flour, baking powder and salt with a whisk in a large bowl. Separate eggs. Beat egg yolks and 3/4 cups of sugar in a large mixing bowl on high speed until mixture is a pale yellow color. Stir in the 1/3 cup milk and vanilla extract. Pour egg mixture into flour mixture and stir gently until all is combined. Beat egg whites and 1/4 cup sugar on high speed until stiff peaks form. Fold egg white mixture into batter and stir until just combined. Pour into prepared pan and spread out flat with a spatula. Bake for 35 minutes or until toothpick comes out clean and center of cake is set. Set aside to cool. Mix condensed milk, evaporated milk and fat-free half and half in a bowl with a whisk and stir until combined. 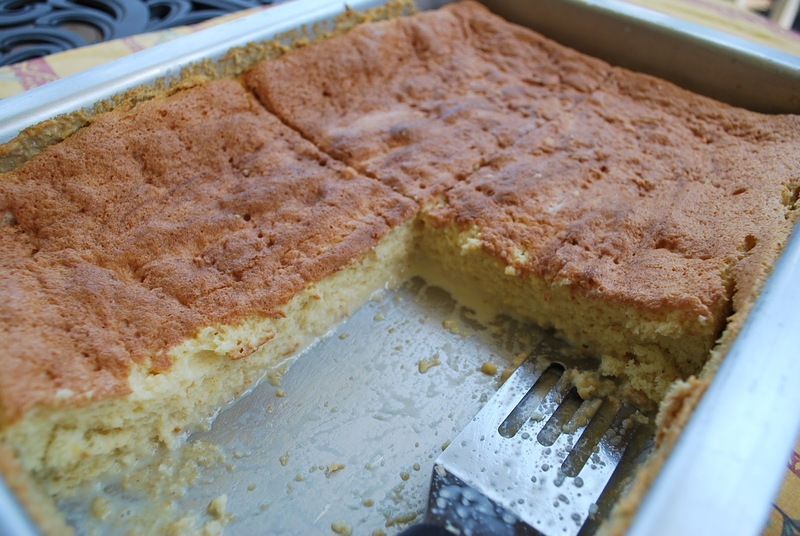 Prick the surface of the cake all over with a fork and slowly pour milk mixture over cake until all is evenly absorbed. Place cake in the refrigerator overnight to soak up all that delicious sweet milk. Combine cool whip, clear vanilla and powdered sugar in a mixing bowl and whip until thoroughly combined. Now you are ready to assemble your gorgeous trifle! Cut cake into four sections. Using a spatula, gently lift one section out and place in the bottom of your trifle bowl. Make sure that you scrape up all that moist goodness! Now assemble your first layer: cake, then icing then strawberries. You can piece together your cake layers by cutting off small sections from the fourth piece. Your cake will only be three layers, so I use that fourth square to shape my cake in the bowl. If you are looking for more strawberry recipe inspiration, here are a few more favorites to try! Day One:Preheat oven to 350 degrees. Spray a 9×13 baking pan with cooking spray. Combine flour, baking powder and salt with a whisk in a large bowl. Separate eggs. Beat egg yolks and 3/4 cups of sugar in a large mixing bowl on high speed until mixture is a pale yellow color. Stir in the 1/3 cup milk and vanilla extract. Pour egg mixture into flour mixture and stir gently until all is combined. Beat egg whites and 1/4 cup sugar on high speed until stiff peaks form. Fold egg white mixture into batter and stir until just combined. Pour into prepared pan and spread out flat with a spatula. Bake for 35 minutes, or until toothpick comes out clean and center of cake is set. Remove from oven and set cake aside to cool. Mix condensed milk, evaporated milk and fat-free half and half in a bowl with a whisk and stir until combined. 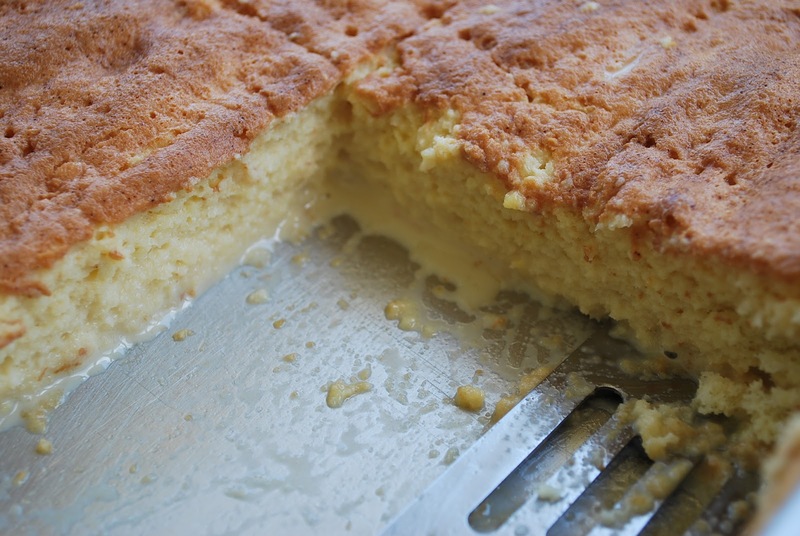 Prick the surface of the cake all over with a fork and slowly pour milk mixture over cake until all is evenly absorbed. Place cake in the refrigerator for at least 8 hours or overnight to soak up all that delicious sweet milk. Day TWO:Combine cool whip, clear vanilla and powdered sugar in a mixing bowl and whip until thoroughly combined. Now you are ready to assemble your gorgeous trifle! Assembly:Cut cake into four equal sections. Using a spatula, gently lift one section out and place in the bottom of your trifle bowl. Now assemble your first layer: cake, then icing, then strawberries. You can piece together your cake layers by cutting off small sections from the fourth piece. Your cake will only be three layers, so I use that fourth square to shape my cake in the bowl. Repeat two times to finish layering the trifle. Look at all that tasty layered goodness! Oh Oh Oh My Gosh!!!! I adore you and this recipe! Thank you love! I am so wanting to make this…right now. Wish I had the ingredients to do so. I’ll look in the pantry..perhaps I can make just the cake until I get the strawberries. ;D Thank you for sharing on Thursday’s Treasures Week 33. <3 and hugs darlin’! http://www.recipesformyboys.com/2012/05/thursdays-treasures-1st-co-host-is-joan.html Open all week. I’m making this for my party this weekend. Can’t wait!